Hardworking hands? Hardworking brush. Whether you've been repotting your annuals in the garden, cleaning paint out of brushes, picking lobsters, or baking bread (just to name a few of our favorite activities that always seem to leave us with a rim of grime under our fingernails), this lovely little workhorse is the perfect solution. 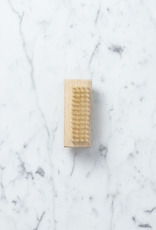 Made for humble hands, this brilliant dual-purpose nailbrush, with its twin sided scrubbing bristles (one side is shorter and firmer for harder to clean tasks), is a sinkside all-star. 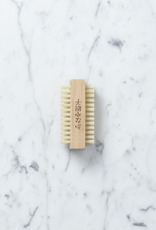 These brushes have been handmade in Japan for over 100 years, and craftsmen handpick and carefully select the all-natural hog hair bristles so that they're the perfect scrubbing firmness. 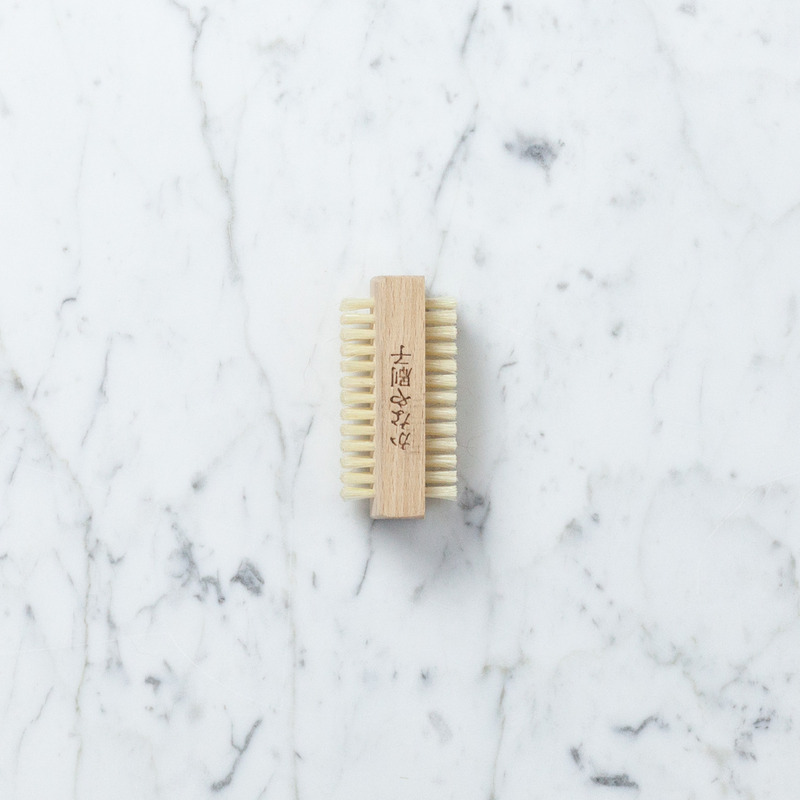 Take Care: With a bit of easy maintenance, this brush can last for years. Clean the bristles with plain water or the soap of your choosing, shake out excess water, and allow brush to dry with the bristles down. 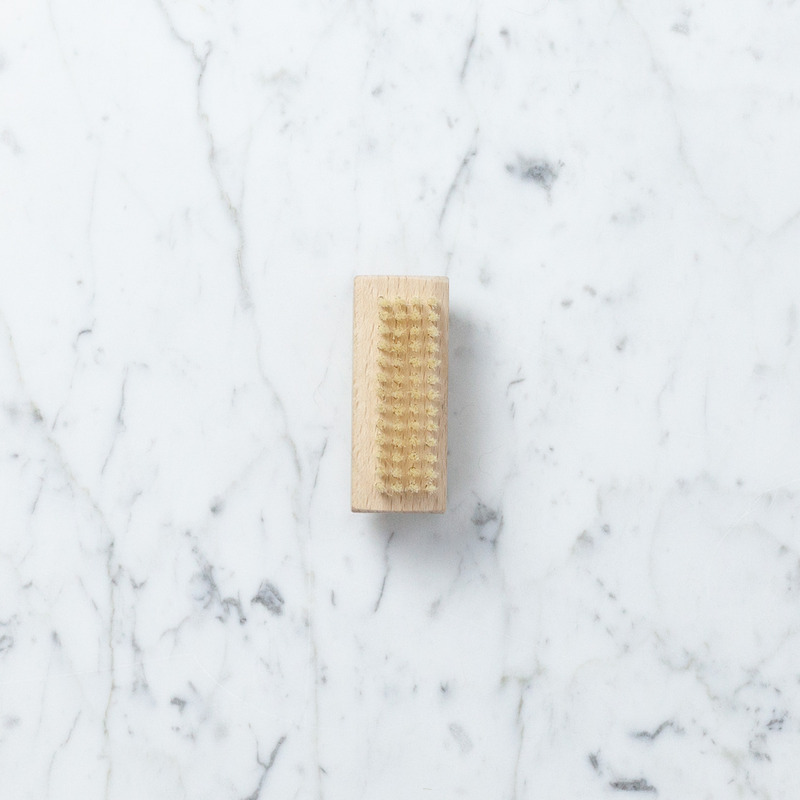 Occasionally oil the wood with your preferred wood conditioner (we swear by Old Mill's All Natural Beeswax and Mineral Oil Wood Polish, available right here at The Foundry), being sure to allow enough time for the wood to absorb the oil before its next use.